Tamara Killion advises health insurers, service providers, consultants, and trade associations on health and welfare compliance, government enforcement actions, and legislative and regulatory initiatives. Her practice includes all aspects of the Affordable Care Act (ACA) including insurance market reforms, qualified health plan standards, Exchange/Marketplace rules, section 1557’s nondiscrimination provision, the employer responsibility requirement, and the ACA’s other tax provisions. Before joining Groom, Tammy clerked for the Honorable Carlos F. Lucero of the Tenth Circuit Court of Appeals and then joined the U.S. Department of Labor as an attorney in the Office of the Solicitor’s Honors Program. 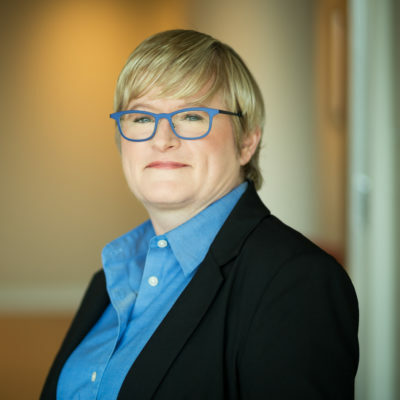 After working at the Department of Labor, she continued representing employers and plans in ERISA fiduciary litigation and employment class action litigation with a large national firm. At Groom, Tammy’s practice also includes counseling large employers on the establishment and operation of their health care and other welfare plan programs, including ACA compliance, plan design, claims administration, compliance with ERISA’s fiduciary responsibility provisions, and HIPAA requirements. Outside of her work for clients, she is a frequent speaker on topics related to the ACA and the health insurance market. I want to provide our clients with a map to enable them to get where they want to go.